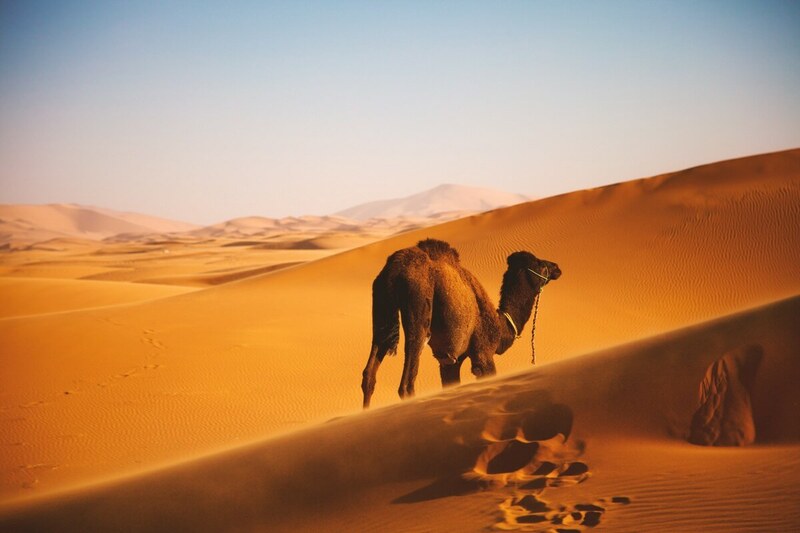 From ancient cities to Saharan dunes, Morocco is one of those destinations that truly captures your imagination; a dizzying diversity awaits travelers whether you’re interested in trekking in the desert, shopping in the maze of medinas, or simply people watching. With vivid images of lyrical landscapes, richly colored souks, exotic culture and a diverse geography, this is a bucket-list destination if there ever was one, and there is so much to see and do. 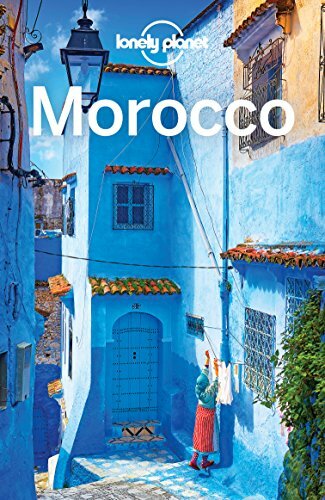 Morocco is captivating, dazzling, and seductive. It is a country that will fascinate, bewitch and beguile you. It is exotic in the true sense of the word, and has hundreds of faces, sounds, smells, and stories just waiting to be uncovered. Whether you’re browsing Morocco vacation packages, or organizing the trip yourself, the following are epic things to do in Morocco. It’s the largest hot desert in the world, engulfing most of North Africa, and one of the harshest environments on the planet; but also one of the most spectacular. There’s nothing more adventurous or authentic than experiencing the magic of the Sahara on camel back. You’ll trek through the Sahara desert as vast golden sand dunes stretch out as far as the eye can see. You’ll lose yourself in the silence as you watch the sand change color at sunset. You’ll spend the night in nomadic tents as you gaze up at a vast clear sky, filled with millions of bright stars. With zero light pollution, the sky absolutely erupts once night falls, and the silence you’ll experience has an emotionally charged, soul stirring effect. The dunes of Erg Chebbi are the best for a camel trek; a two-day drive from Marrakech, these are the highest and most spectacular sand dunes in Morocco, often reaching 50 meters above the desert floor. Let’s be honest, camel trekking isn’t exactly the most comfortable mode of transport, but it is undoubtedly the most authentic way to experience the way the Berber nomads of the Sahara traveled; a true Arabian adventure! A medina is the old, historic part of a North African town; typically walled to keep out invading armies, and a maze of narrow streets and tiny alleyways where you’ll stumble across fountains, palaces, markets, shops and historic mosques. Almost every city in Morocco boasts their own medina, each with its own unique history and story to tell, though the medina in Fez is the largest in the world; and you will get lost! 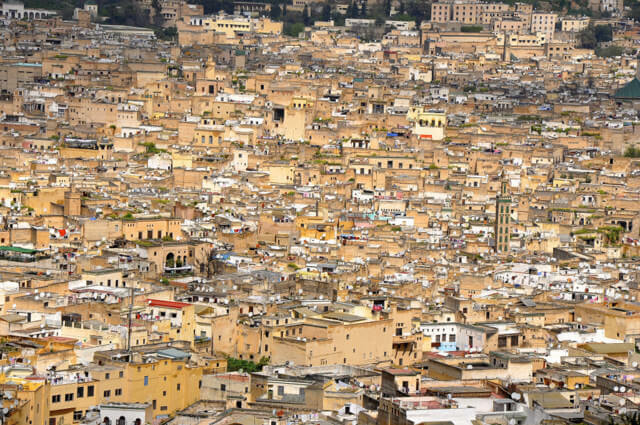 Over 1,200 years old and now a UNESCO World Heritgae Site, wander through the labyrinth of streets that is Fez Medina and ready your senses. A rich tapestry of color, sights, smells, and tastes will reveal itself as you make your way through the crooked streets. Yes, that’s right, we said tree climbing goats! It may be one of the most bizarre sights you’ll ever see, but while in southwestern Morocco, look out for goats perched on the branches of Argania spinosa trees (the Argan tree). 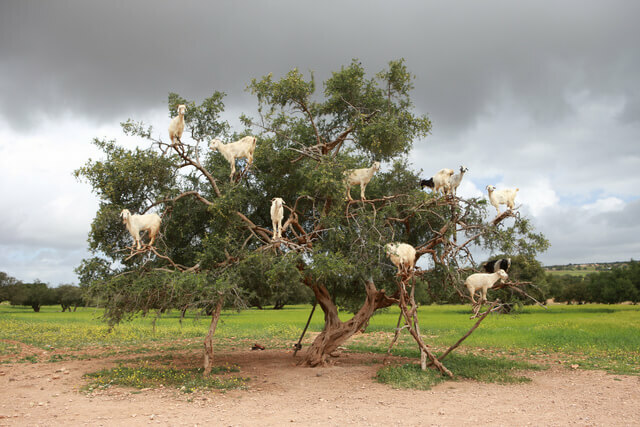 Goats in Morocco have been known to to scramble up these trees in search of fresh produce, and will happily munch on the fruit while their hooves are firmly planted on high branches of the tree. Though taking a photo isn’t free. Local farmers have turned this bizarre feeding ritual into a tourist attraction, and if you want to take a photo you’ll have to have money on hand to tip them. Unfortunately, the profit to be made means that con artists do also operate, and will tie goats to the trees in the hot sun all day. If you see goats physically tied to the trees, it’s important that you leave immediately. As travelers we should never condone animal cruelty. Morocco is a shopper’s paradise. 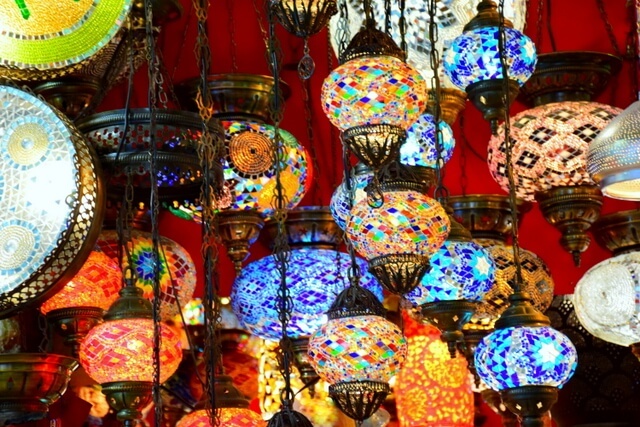 Colorful markets packed full of all sorts of locally made goods line the streets; shady and narrow side alleys burst with a tempting variety of places to relax with a glass of mint tea; and rich, exotic colors and scents of spices flood crowded souks. But Moroccan souks are not for the fainthearted. In a country where the price is never fixed and haggling is expected, shopping is a thrilling and exhilarating experience, and has never been closer to a sport! When shopping in a Moroccan souk, the price you’re originally quoted is likely to be colossally inflated from what they’re actually willing to accept. And unlike other parts of the world, it’s actually offensive not to engage in a heated exchange to beat the price down. A good gauge is to aim for around 30% of the asking price. But remember that this is a game, so your offers should be incremental. The back-and-forth nature here is all part of the game; this does mean that shopping in Morocco is a slow sport, so make sure you have plenty of time! An artsy, blue washed mountain village with bright blue buildings and narrow lanes, Chefchaouen is one of the prettiest and most unique places to visit in Morocco. While most travel here for it’s insta-worthy blue town-scape, there is an authenticity here that doesn’t exist anywhere else in Morocco. Largely unchanged since the Middle Ages, walking through the village feels as though you’ve truly stepped back in time. You’ll also find incredible food. Don’t miss out on the town’s signature tagine. 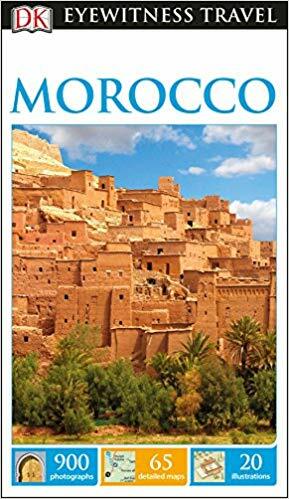 Morocco conjures images of vast golden deserts, and palm trees fringing a dramatic coast. But snow? Whenever a harsh winter weather system affects Europe, it typically affects Northern Africa. And snow in Morocco is not unusual. In fact, there are two ski resorts in the Atlas Mountains that experience snowfall during January and February each year. But previously rare events like snow in the Sahara desert have started to occur, and snow fell well below the Atlas Mountains earlier this year. That’s right. 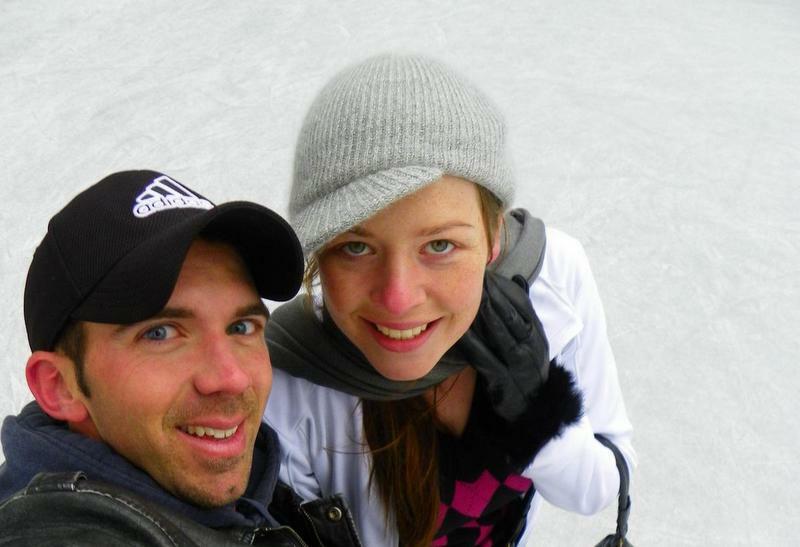 It snowed in the hottest place on earth, and the golden sands of the Sahara were transformed into a frozen, icy white. 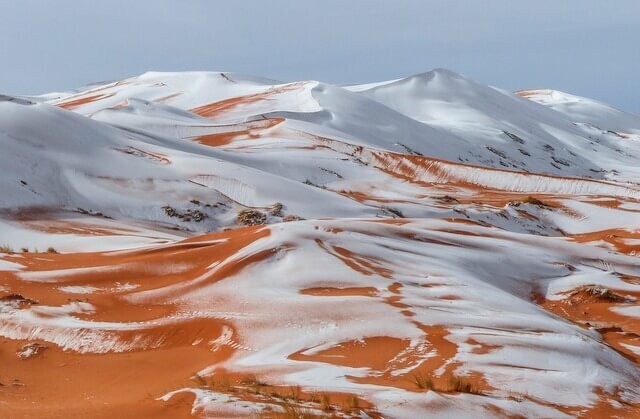 Witnessing snowfall in the Sahara is a rarity; when it happened in January it was only the third time in 40 years. But it would be far less fun is everything on your bucket-list was easy to cross off! Thinking about Morocco travel? 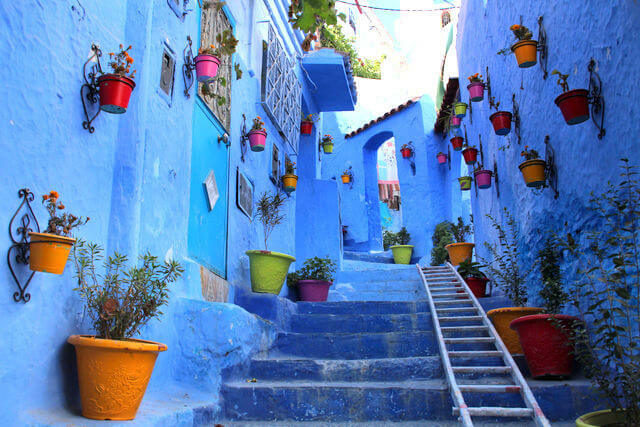 Check out these things to do; an adventure guide including destinations like chefchaouen and Fes; make sure you add these to your itinerary! And, you reminded me about shuk-buying….. ’nuff said. Haha yes camel rides can definitely be hit or miss! They’re not the friendliest of creatures and it’s usually very bumpy! 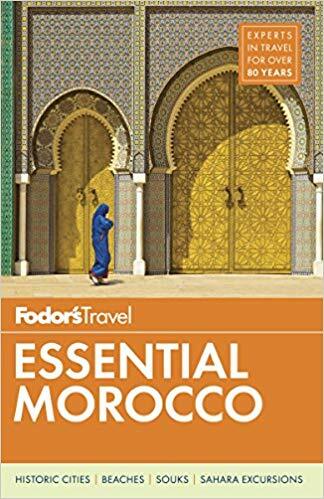 I’m planning a trip to Morocco and will try to do everything on this list! (Wish me luck with finding snow in the desert!) As always, your articles are amazing. Thank you! 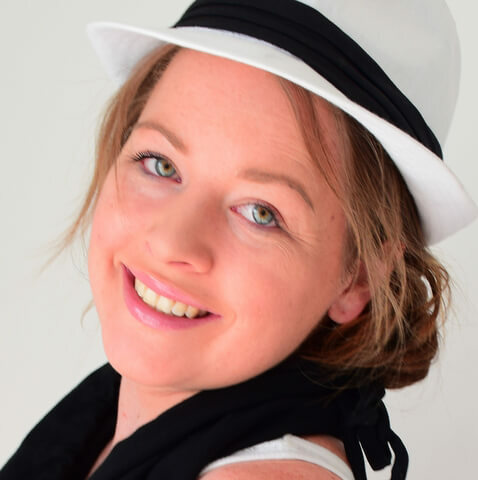 Have a fabulous time April! Glad we could catch you with some ideas before you head off. Have an epic time! Awesome post Megan and yes, Marocco is an incredible country. I had the best meal of my life there. Thanks Paula! So glad you enjoyed your time in Morocco – the food really is just incredible isn’t it! I’m on my way in a few days! Thanks so much for this article (such perfect timing I felt like you wrote it for me, lol). I just returned from Marrakech! Mapping Megan My mind wa stretched in 10 different directions! You have a beautiful country indeed! Yes it does tend to garner that reaction! Seems like an interesting place.. and friendly to westerners.. which is nice when compared to plenty of other regional choices.. Very high on our wish list. Frank’s mom was born there. Perfect excuse to plan a trip! I have been there twice. I Love that place.